Have you heard of Wobbly Kitten syndrome? 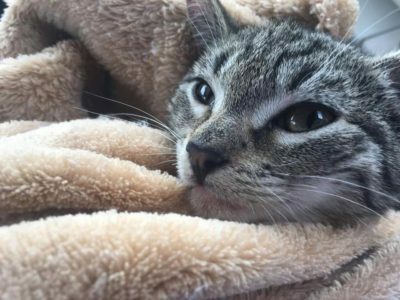 Home arrow_forwardFeatured Animal Rescue Transportarrow_forwardHave you heard of Wobbly Kitten syndrome? Meet Iris! Iris is a very special kitten. 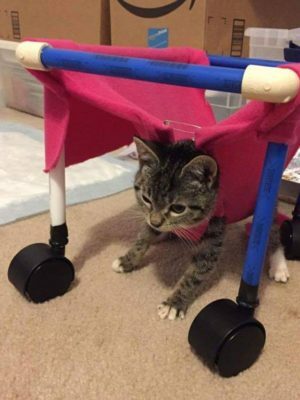 She is just three months old and has a condition called Cerebellar Hypoplasia (CH). This condition affects the cerebellum that makes up a large portion of the brain. CH occurs when parts of the cerebellum are not completely developed and can be related to genetic causes, or due to other factors like infections, toxins or nutritional deficiencies. This condition is often ill informed to people and is not noticed for what it is. These symptoms can start to be noticed when kittens begin to stand and walk, at around just six weeks old. A lot of times kittens born with CH will be euthanized because vets or shelters assume they are sick. Since these kittens require more attention than most, some people think they have no quality of life, which is very false. Kittens with CH can live long, happy and healthy lives if their owner spends time and takes good care of them. Iris came from Anderson County Shelter in South Carolina. The coordinator of Rescue Transport USA, Robyn, was informed by a friend of Iris. Robyn knows and understands the condition very well, received Iris’s adoption link and immediately applied. Robyn has five other cats with CH and Iris is the newest addition to the family. With five siblings just like Iris including Flip Flop, Tippy Terra, Tommy Tumbles, Skeeder and Billy Bobble Thornton, it was only fitting that Iris was renamed Princess Pinball! Since these cats have CH, special accommodations are required for their home. The modifications include an enclosed litter box with walls so she can lean on them, her bowls are deep set because she pushes with her face and shoves food around and she needs her head to be held while drinking water. Being only three months old, Iris is not allowed to be on the floor unmonitored, so she stays in an enclosed area that is padded. Robyn also has bubble wrap along the bottoms of her walls which she said can be quite exciting in the middle of the night! Since they have to be monitored throughout the day, Robyn’s husband watches and cares for them. Since Iris is still young, she heavily relies on them. They will not know her limitations and how well she can do by herself until she is a few months older. Thanks to Rescue Transport USA, Iris or Princess Pinball, was transported from Anderson, South Carolina to Melbourne, Florida where she has brothers and sisters just like her at her furever home. 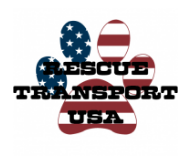 To learn more about Cerebellar Hypoplasia (CH) click here, and to learn more about Rescue Transport USA click here.